Let the Countdown Begin! | College is…….. I am officially headed to St. George’s University in 4 short days. I’m not exactly sure what to expect. Yes, I’ve seen lots of pictures and watched just about every video on YouTube, but still, the thought of going to some island near Curacao seems so mysterious. Orientation actually starts on the 15th, but I’m heading down early to spend some time in Trinidad & Tobago as well. I’ve haven’t been to many of the Caribbean Islands so i’m in for a surprise. Luckily, one of my undergrad friends lives in Trinidad & Tobago, so I will get the insider’s perspective! In the past month, I’ve been randomly gathering everything I need to make this long journey across the country. Needless to say, I’m not even close to done packing. I found out that I need some sort of transformer thing because the voltage of some of my appliances won’t match the ones in Grenada. Also I’m bringing lots and lots of mosquito repellent. Grenada is known to have Dengue Fever, and not just that. Mosquitoes are extremely attracted to my blood. The flight in total is about 9 hours non-stop… but of course all the flights have stops. My dad and I will be taking a flight of around 12 hours including layovers to get to Trinidad. This will give us ample time to sleep and prepare for all the adventures ahead! I am most excited about the potential exotic fruits on Grenada and lobster. I’ve traveled a lot, so I’m used to the tastes of many fruits including; lychee, starfruit, dragonfruit, papya, mangoes, pineapple, passionfruit and many others. 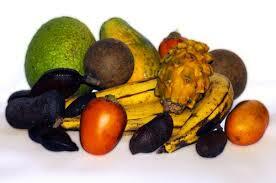 I read somewhere that Grenada has over 300 exotic fruits! There will also be lobster. 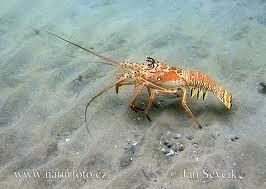 The Caribbean lobster is a bit different from the ones i’m used to in Maine. They have no claws and they’re filled with spiny points. Well, I will report back soon. Oh yeah, I guess some studying will be done also. This is Med School after all. This entry was posted in Uncategorized and tagged caribbean, fruits, grenada, lobster, med school, SGU. Bookmark the permalink.